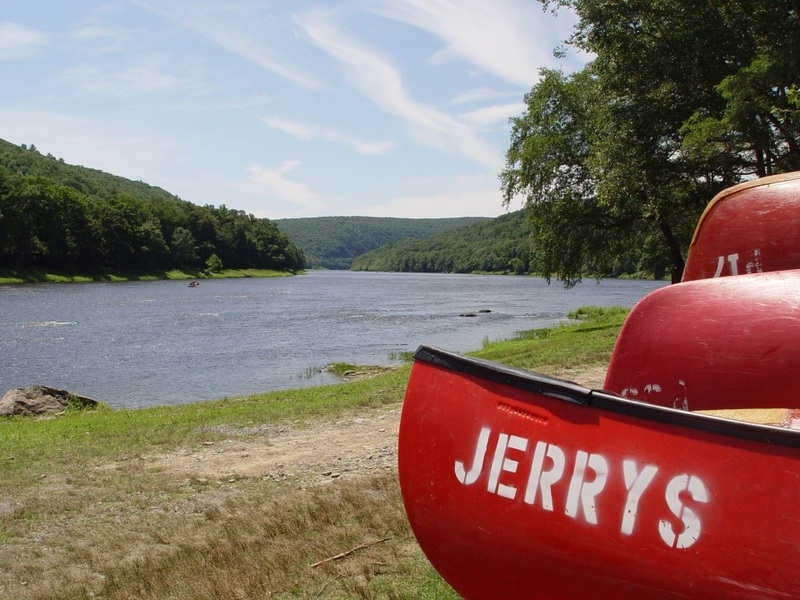 Jerry's offers several exciting river trips to choose from; Come explore the scenic Upper Delaware with us! 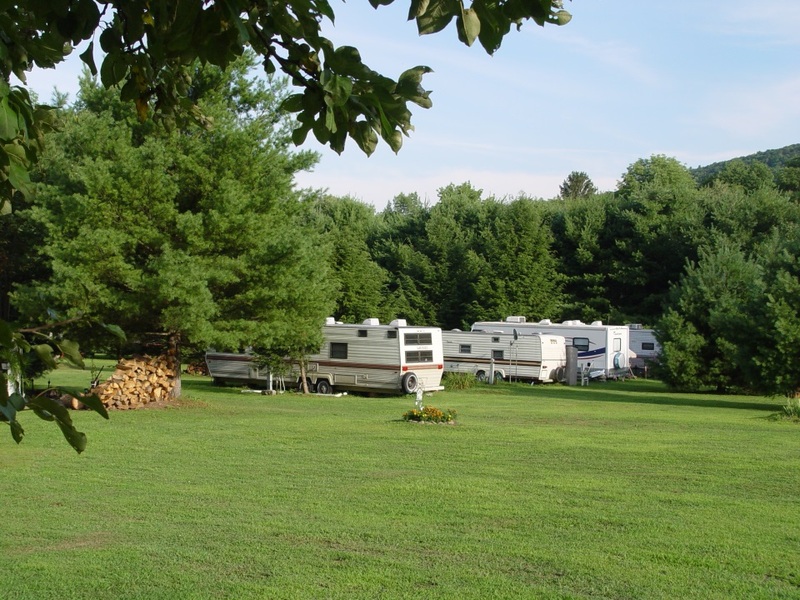 We invite you to come enjoy our scenic campground situated on over a half mile of beautiful riverfront. 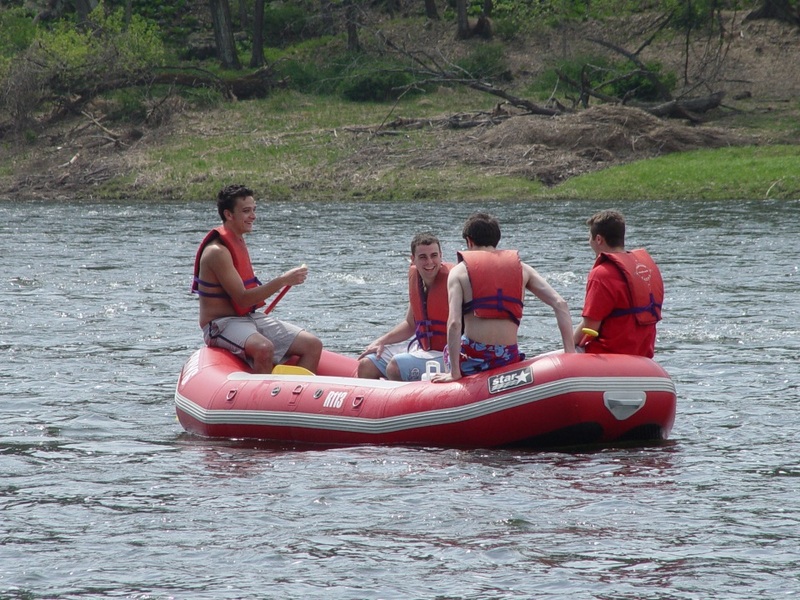 Our enthusiastic staff is happy to help plan your canoe or raft excursion,no matter the size of your group. 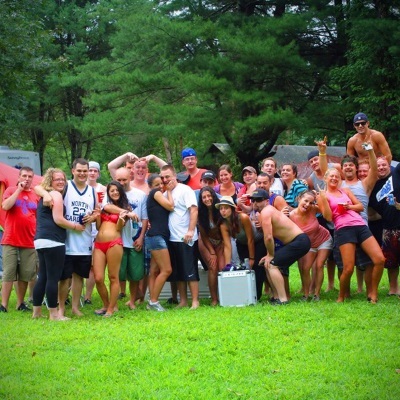 If you are looking for the best campsites on the delaware then you have come to the right place. 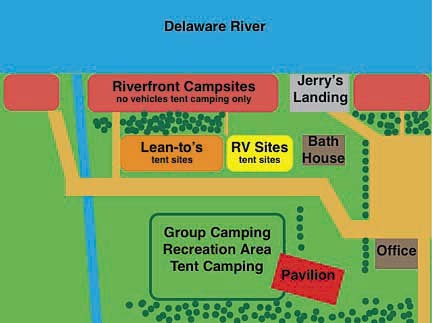 Our unique geography offers a mix of riverfront, brookside, wooded, mountain top, and secluded campsites. 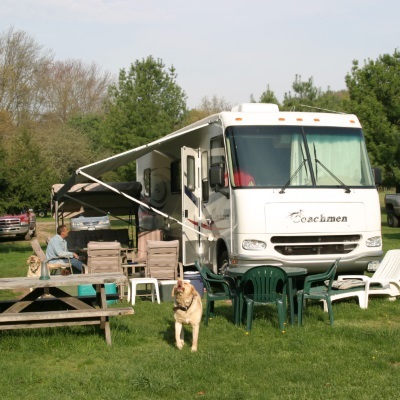 We offer tent sites, lean tos, group pavilions, seasonal sites, and spacious rv sites with full hookups, and well maintained updated bathrooms. All sites come complete with picnic tables trash cans and fire rings. Our helpful staff will be happy to deliver all the firewood you need right to your site. 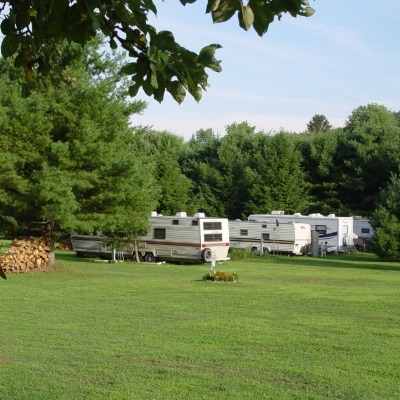 Our campground also offers a recreation area. for your enjoyment. It features a volleyball court, horseshoe pits, and a pavilion with tables, seating and charcoal grills. 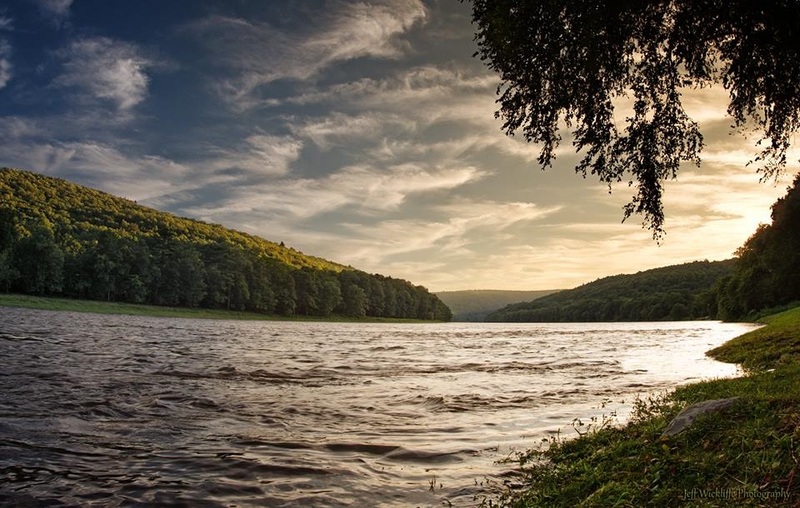 If you are looking for something a little more athletic, the camp ground is located on the Upper Delaware Scenic Byway and is perfect for bicycle sightseeing, the quaint village of Barryville is only a short 5 miles upriver. 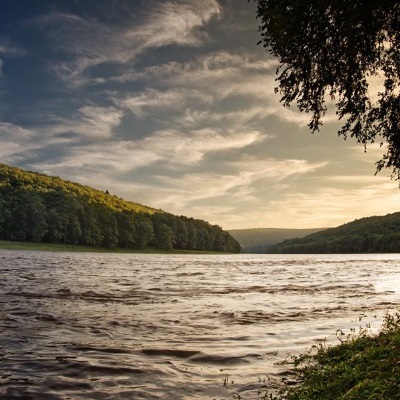 Hiking trails abound in the region as well, The Appalachian Trail is less than a half hour drive from the campground, and the Delaware State Forest in Pond Eddy, PA is only 5 minutes away. If fishing is your game, just bring your pole and your license and you will not be disappointed. The Delaware is teaming with fish and can provide hours of enjoyment, even on a rainy day. 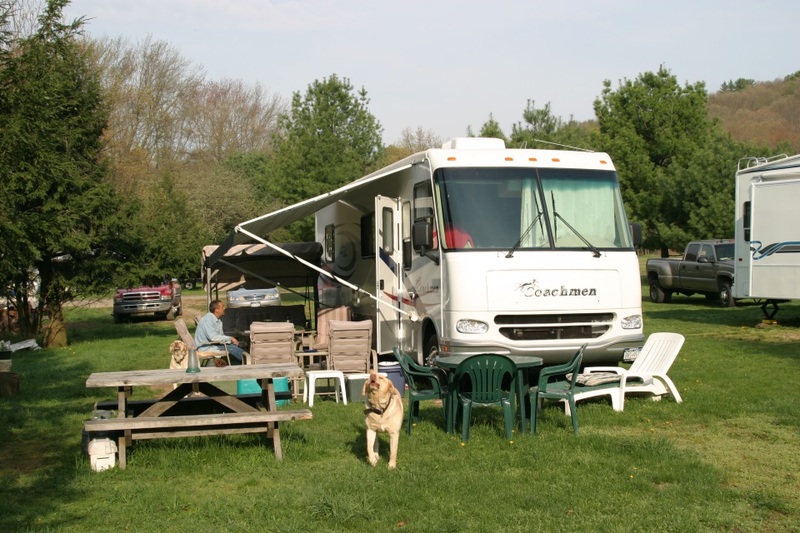 Jerry & Elizabeth Lovelace founded Jerry’s Three River Campground in 1968. Both are life long residents of the area. 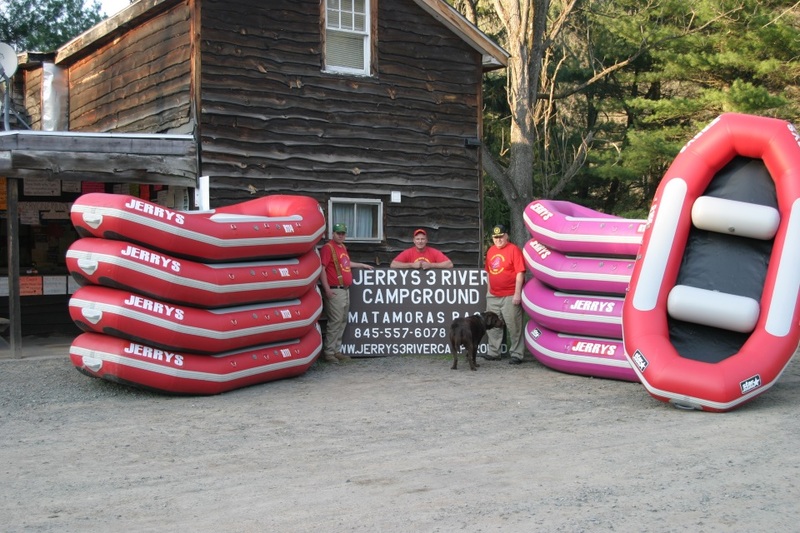 Jerry’s ancestors date back to the log rafting era on the Delaware and coal was being transported down the D&H Canal in the late 1800s. Their son Pete has been involved since day one. He married Debra in 1983, and their son “Super Pete” was born in 1985. You can see the three generations of river knowledge working every day as they provide safe, high quality water activities. Above Rates require a reservation deposit of $10.00 per person. All rates subject to change. No campground entrance after midnight (enforced). 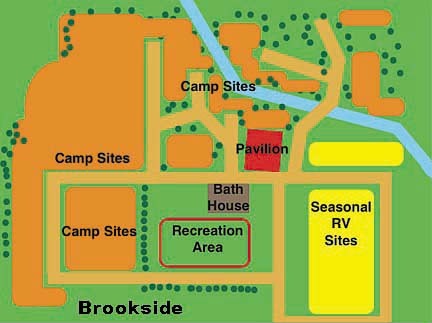 Camp sites may be substituted by management. Rates are per person, per day or any portion of the day. 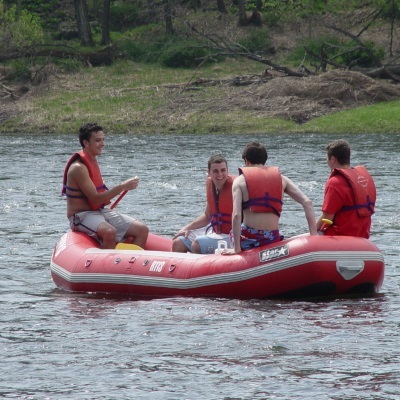 Rates include paddles, life jackets, transportation for all boaters and sales tax also included. 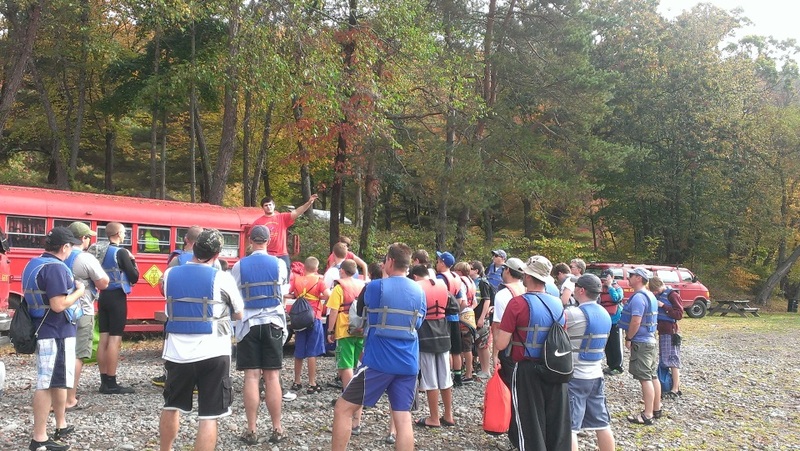 Rates based on 2 persons per canoe, minimum 4 per raft. 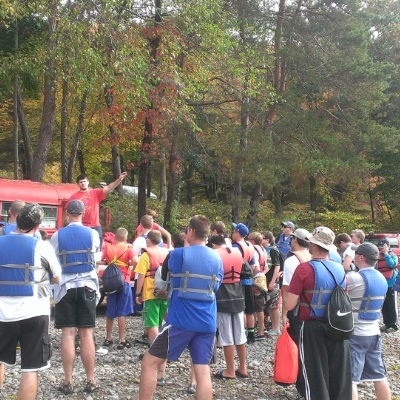 Cash security required on all Canoe and Raft Rentals. ($5.00 per person) and is refundable. 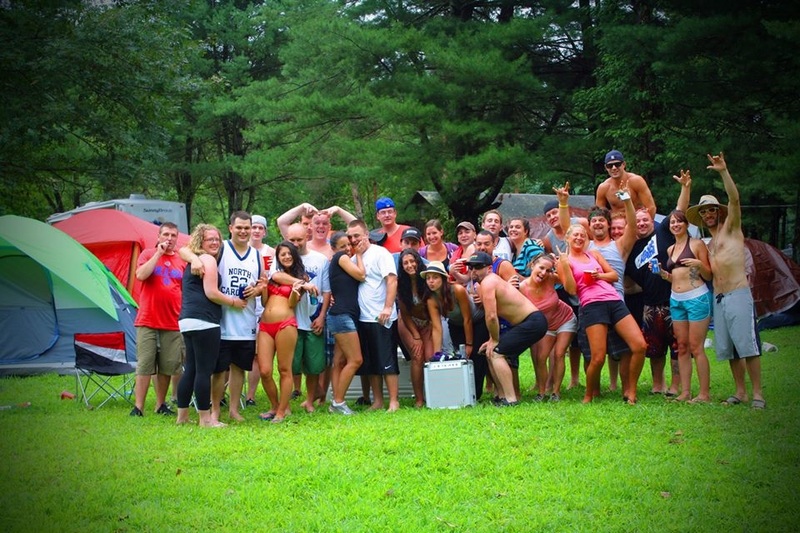 All Rates require a Reservation Deposit of $10.00 Per Person. All rates subject to change. * Special Rates on Scouts, Camps, Churches, Large Groups, etc. For further information on group rates, Call us and ask for Pete. 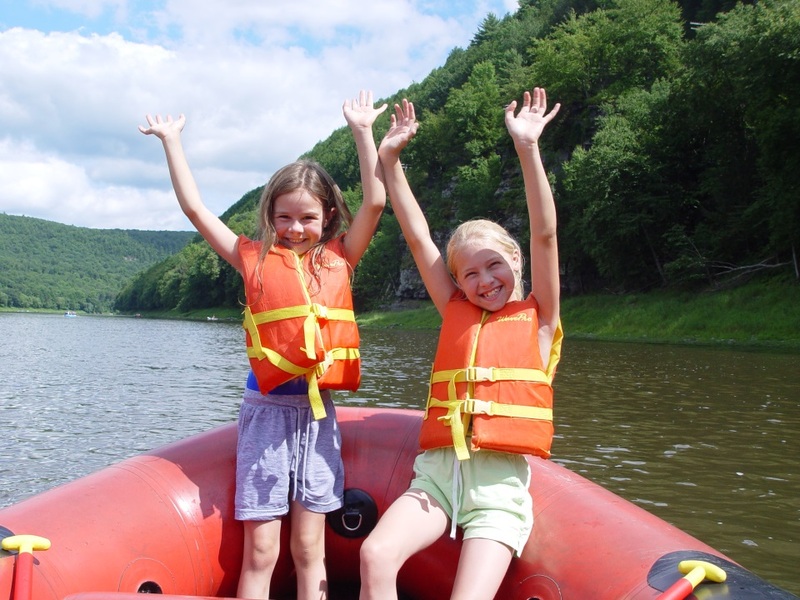 *Cash security deposit required on all canoe and raft rentals. For a fee of $2.00 per person, per day, a $20.00 deductible damage release waiver is available. This releases boaters from any damage to boat while boating. This does not cover paddles, life vests, canoe damage while being self-transported or wilful damage. All craft must be returned to the main base regardless of condition. 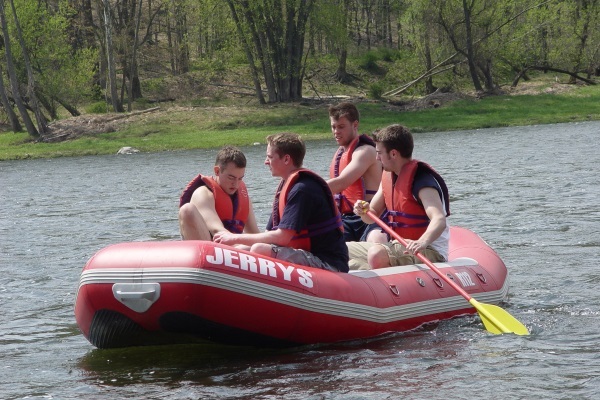 Jerry's Three River welcomes you to an exciting, scenic river trip along the beautiful Delaware River. 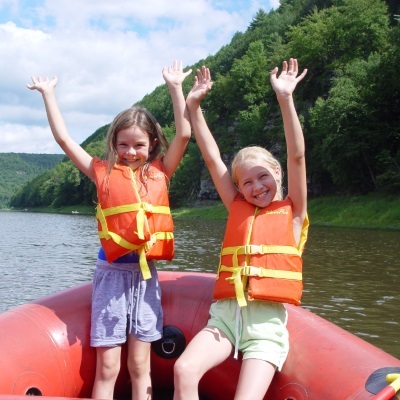 Our enthusiastic staff is happy to help plan your canoe or raft excursion, whether it be your first time on the river, or you are a seasoned veteran, no matter the size of your group. 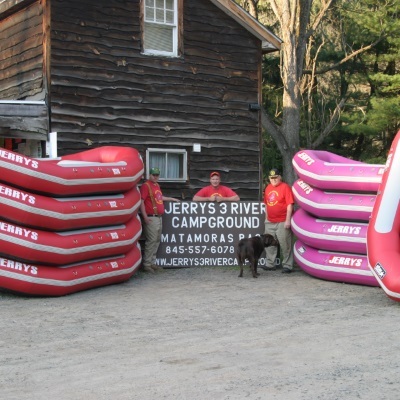 When you take a river trip with Jerry’s you get the best service, and the best experience on the Delaware. For three generations we have specialized in not being the biggest, but being the best on the river..
1. Make certain everyone can swim. 2. Wear your life vests at all time. 4. Bring litter bags and sun protection. 5. Keep your packs light. 6. NO glass containers on the river. 7. Two persons per canoe, 2-8 per raft. You can find us on 2333 State Route 97, Pond Eddy, New York 12770. 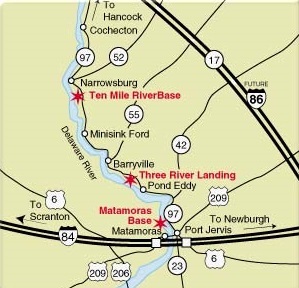 Jerry’s Three River Campground is located just 16 miles north of Port Jervis, NY on State Route 97 in Pond Eddy, NY. Family owned and operated for 45 years. 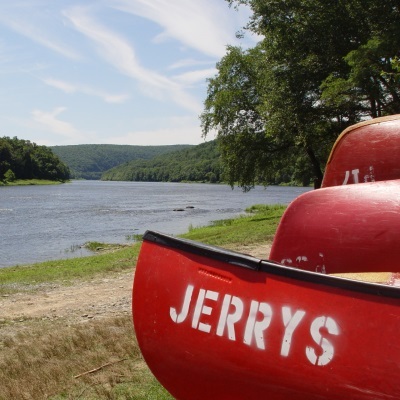 Some of our customers have called Jerry's "God Country, a place where heaven can exists on earth." 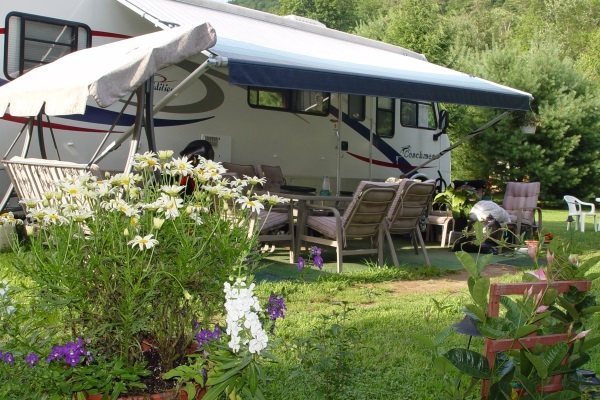 We invite you to experience the natural beauty; the Sun, Moon, Stars have to offer at Jerry's Three River Campground.